14 December 2017, Sharjah (UAE) - The second Global NCD Alliance Forum in Sharjah (UAE) closed on Monday 11 December with a feeling of energy and optimism despite the sizeable challenges that will have to be overcome to ensure that the 2018 UN High-level Meeting on NCDs delivers sustained leadership and action on NCDs. 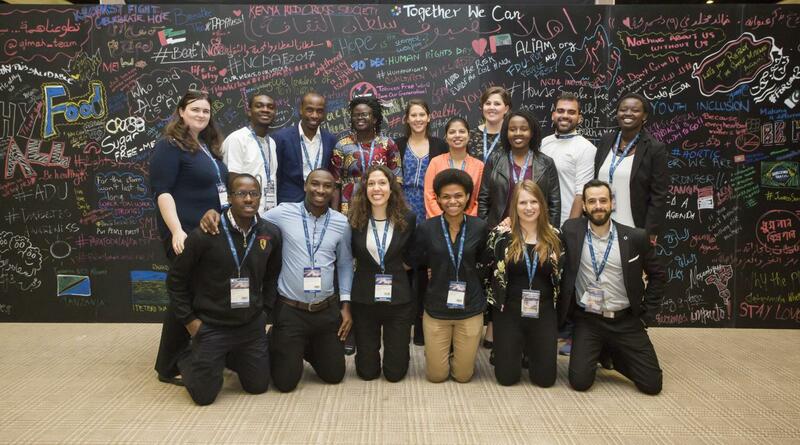 350 civil society representatives from across the NCD community and spanning 68 countries, including people living with NCDs and youth delegates, discussed strategies to make the voice of the NCD community heard at the highest political levels. The Forum’s programme included taking stock of the NCD movement, discussions on breaking down silos for sustainable development, and equipping civil society to fulfil its roles in the NCD response. Workshop streams focused on advocacy, building synergies, and sharing tools and strategies. As in 2015, NCDA co-hosted the Forum with local partner Friends of Cancer Patients (FoCP). The Forum could not have been possible without the support of Her Highness Sheika Jawaher bint Mohammed Al Qasimi, Wife of the Ruler of Sharjah, Founder and Patron of Friends of Cancer Patients (FoCP), International Ambassador for the World Cancer Declaration of the Union for International Cancer Control and International Ambassador for Childhood Cancer for the Union for International Cancer Control, and Patron of the Global NCD Alliance Forum. 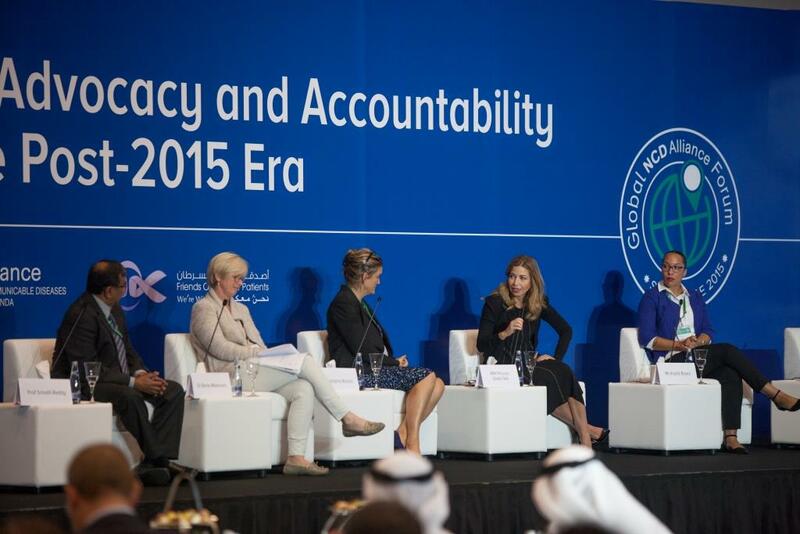 The three-day gathering in Sharjah featured the launches of the Advocacy Agenda of PLWNCDs – part of the Our Views, Our Voices initiative – and the NCD Civil Society Atlas, which spotlights 38 case studies of national and regional civil society initiatives on NCDs. In addition, a draft set of campaign priorities for the 2018 HLM were shared with delegates and were the basis of discussion. At the first Global NCD Alliance Forum in Sharjah in 2015, civil society adopted the Sharjah Declaration, committing to accelerate national and regional NCD action. This year, four civil society representatives from Tanzania, East Africa, Latin America and the Caribbean received the Sharjah Awards for Excellence in NCD Civil Society Action, recognising their most impactful practices around access, accountability, advocacy and awareness. The winning initiatives, and three dozen other projects are documented in the NCD Civil Society Atlas. At the closing ceremony, NCDA Board Member Sir George Alleyne, stated that delegates should celebrate the optimism and enthusiasm of the Forum, yet they should also leave with a sense of moral outrage because of the devastating death and disability caused by NCDs. Youth delegates, who also gathered for a Pre-Forum meeting, released a Call to Action on Monday 11 December. “As young people,” it said, “we bring unique experiences and perspectives to health agendas and have a right to negotiate the future health of the communities in which we live. “Ahead of next year’s HLM, advocates must ensure that the priorities of young people are heard and acted upon at every level and that governments are held accountable to their NCD commitments,” continued the Call to Action. How can you can help step up the pace on NCDs? 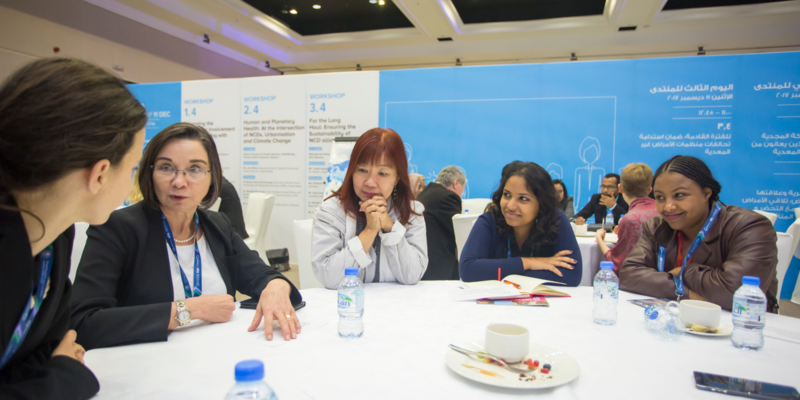 Join 300+ civil society advocates at the Global NCD Alliance Forum. Limited travel grants are available. Last day to apply is 1 September.